How cool is this? 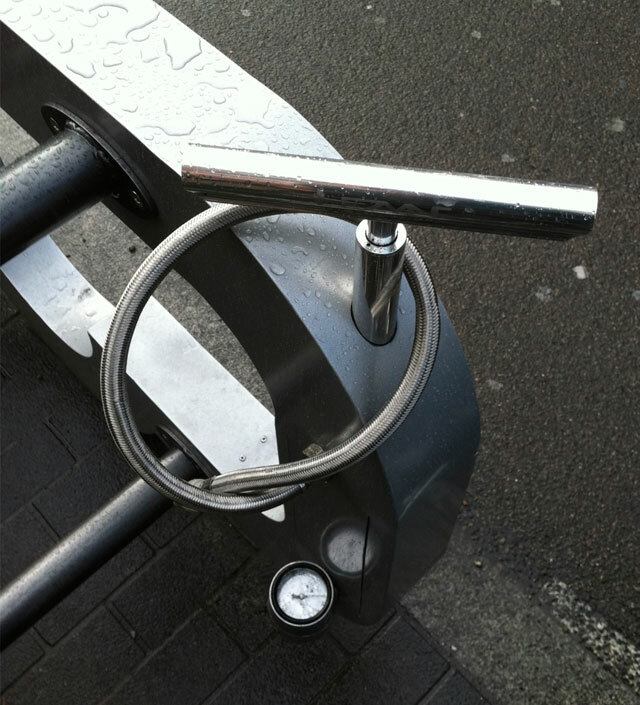 Spotted on The Cut at Waterloo, it's one of Cyclehoop's Car Bike Racks, installed by Lambeth Council. 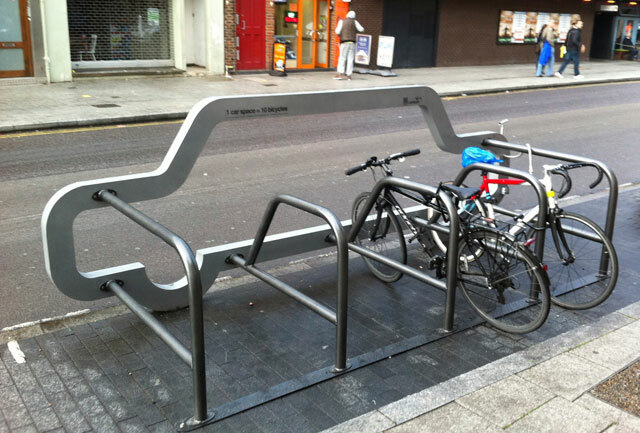 They're designed to be installed either temporarily or permanently, and convert one car parking space into ten bike parking spaces. It's even got a free pump integrated into the frame, so you can keep your tyres nice and firm. It's a cracking piece of product design - functional, simple, eye-catching, elegant, witty and thought-provoking. 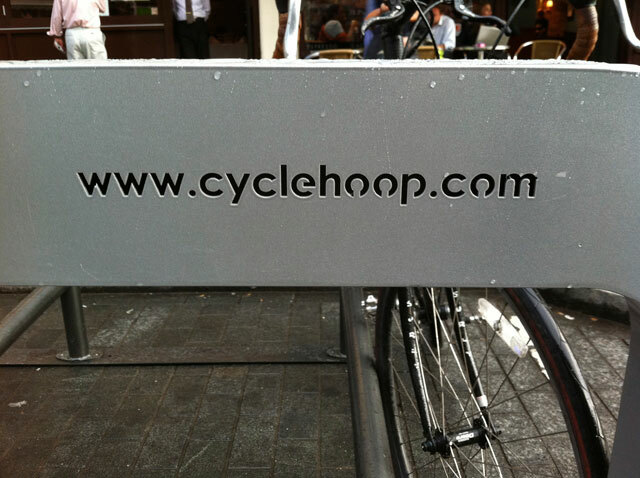 Not bad for a bike rack (but pretty much what you'd expect from the guys who created the brilliant Cyclehoop). 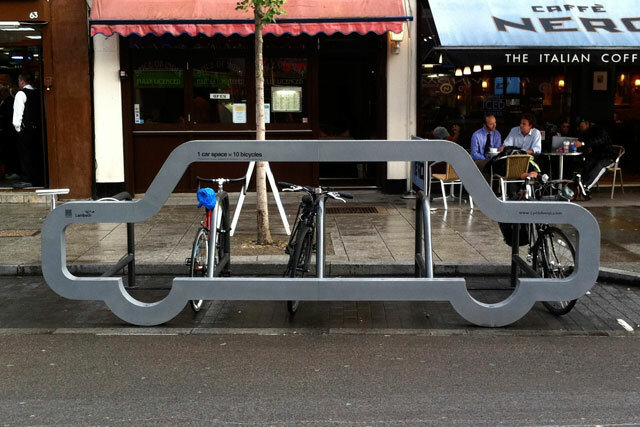 We'd love to see loads more of these about town.